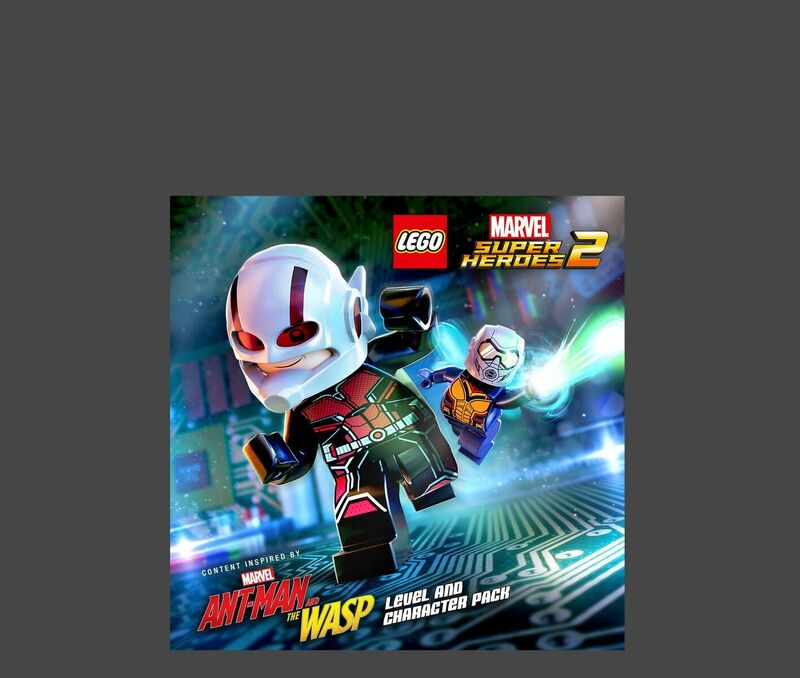 The LEGO Marvel Super Heroes 2 Ant-Man and The Wasp Level and Character Pack is now available for the LEGO Marvel Super Heroes 2 Video Game. Available for $2.99. The new Marvel Ant-Man and The Wasp movie will be in theaters nationwide on July 6. See below for the full press release. Warner Bros. Interactive Entertainment announced today the release of Marvel’s Ant-Man and the Wasp Character and Level Pack, the new DLC for LEGO® Marvel Super Heroes 2. The pack, available at $2.99, adds a level and characters inspired by the classic comic series, in celebration of the upcoming film, Marvel Studios’ Ant-Man and the Wasp, in theaters nationwide on July 6. The all-new action-packed original game level takes Ant-Man and the Wasp to Hank Pym’s forgotten research lab, where his old adversary Egghead is hatching a fiendish plan. Players are tasked with battling Egghead’s goons and a giant chicken mech, in an unforgettable adventure. New unlockable characters Ant-Man (Ant-Man and the Wasp), Wasp (Hope van Dyne), Egghead, Crossfire, Stinger (Cassie Lang), The Human Fly, Giant-Man (Raz Malhotra), and Ghost add to the main game’s roster of over 200 Super Heroes and Super Villains. The Ant-Man and the Wasp character and level pack can be purchased separately or as part of the Season Pass which includes six Level Packs and four Character Packs, including the previously released Guardians of the Galaxy Vol. 2, Black Panther, Runaways, Cloak & Dagger and Infinity Warcontent, and theChampions, Out of Time, and Agents of Atlas Character Packs. The Season Pass is available for $14.99 suggested retail price or as part of the LEGO Marvel Super Heroes 2 Deluxe Edition on digital stores. LEGO Marvel Super Heroes 2 is available on PlayStation®4, Xbox One®, Nintendo Switch™, and Windows® PC. From the Marvel Cinematic Universe comes “Ant-Man & the Wasp,” a new chapter featuring heroes with the astonishing ability to shrink. In the aftermath of “Captain America: Civil War,” Scott Lang grapples with the consequences of his choices as both a Super Hero and a father. As he struggles to rebalance his home life with his responsibilities as Ant-Man, he’s confronted by Hope van Dyne and Dr. Hank Pym with an urgent new mission. Scott must once again put on the suit and learn to fight alongside the Wasp as the team works together to uncover secrets from the past. “Ant-Man and the Wasp” is directed by Peyton Reed and stars Paul Rudd, Evangeline Lilly, Michael Pena, Walton Goggins, Bobby Cannavale, Judy Greer, Tip “T.I.” Harris, David Dastmalchian, Hannah John Kamen, Abby Ryder-Fortson, Randall Park, with Michelle Pfeiffer, with Laurence Fishburne, and Michael Douglas. Kevin Feige and Stephen Broussard are producing with Louis D’Esposito, Victoria Alonso, Charles Newirth and Stan Lee serving as executive producers. Chris McKenna & Erik Sommers, Paul Rudd, Andrew Barrer & Gabriel Ferrari wrote the screenplay. “Ant-Man and the Wasp” hits U.S. theaters on July 6, 2018.